Charming apartment in the popular residential areas of Hamburg! TERRACE. QUIET. WELLNESS. Property 12: Charming apartment in the popular residential areas of Hamburg! TERRACE. QUIET. WELLNESS. Cozy, 2018 newly furnished apartment in the green east of Hamburg. Property 22: Cozy, 2018 newly furnished apartment in the green east of Hamburg. 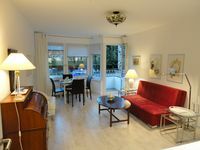 Property 23: Absolutely stylish, modern and fully equipped. 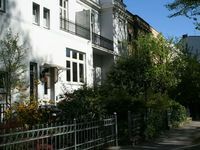 Property 30: Rotherbaum / 2 bedrooms, garden level, "Landhaus meets design"
Property 43: Cozy apartment in Schanzenviertel for 5 people ★ "JOLLE"
A lovely apartment with a lovely hostess. Clean and roomy on a beautiful quiet street.